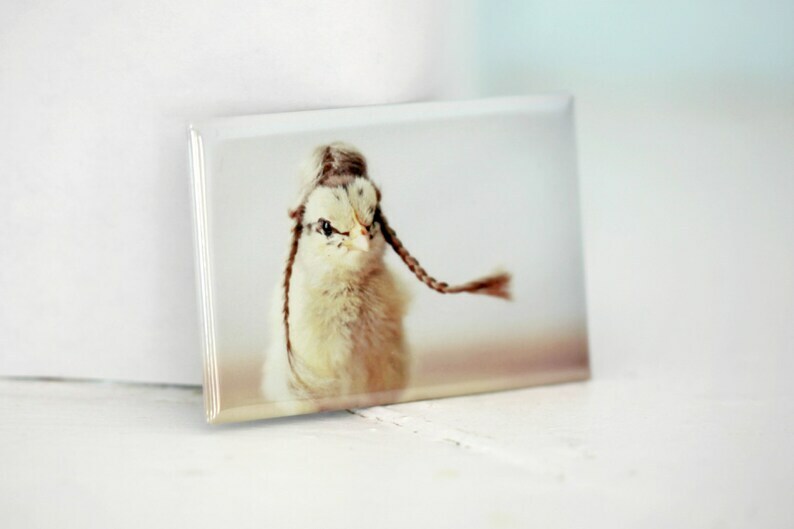 Chicks in Hats magnet featuring a chick wearing a tiny wig. The cutest markets ever!! So glad I bought them! Always great service and well made!